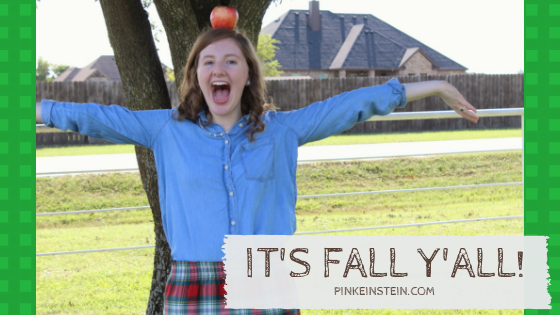 It's not quite time to pull out all of the sweaters and vest but I did want to share a summer to fall transition outfit that will give you all of the fall feels but will also keep you cool when it warms up in the afternoon. I am loving this fall weather! 60 degrees? Yes please! I purchased this J Crew sidewalk skirt at a thrift store over the summer and I have been dying to wear it ever since I bought it. I paired it with a chambray button up I bought at H&M for just a few dollar. I wore my Jack Rogers bow sandals with the outfit since it's not quite cool enough to wear riding boots yet. I finished off the look with a simple strand of pearls and pearl earrings. My brown leather handbag is a Kate Spade from a very long time ago that I borrowed from my mom.